Since the FICO score was created in 1989, the credit score has focused on consumer borrowing history with data provided by the 3 major credit bureaus - Equifax, Experian, and TransUnion. For the first time, FICO’s new credit score system will use bank information, in addition to traditional credit information, to boost some consumers’ credit score. The new score, which is called UltraFICO, will be rolled out in 2019. The UltraFICO score is a partnership between Experian, FICO, and Finicity, and was announced during the Money 20/20 USA conference. Experian is one of the three nationwide credit bureaus, and Finicity is a financial technology company that allows consumers to share data with financial service providers. Finicity has an asset verification process that can provide accurate information about your bank account. More than 130 million consumers don’t have access to credit products from major credit card issuers and lenders. According to FICO, 79 million Americans have credit scores below 680 - which is considered subprime - and another 53 million don’t have enough information in their credit files to generate a credit score. You must have at least one account that’s been open for at least six months for FICO to generate a credit score for you. Without adequate credit, consumers can have trouble getting approved for credit cards and loans from traditional lenders. This puts housing, education, and transportation out of reach for many consumers as they’re unable to get mortgages, student loans, or auto loans. It also means these consumers have to turn to subprime lending products which often have higher interest rates and are predatory for consumers. While credit card issuers and lenders typically ask for income on the application, the information isn’t verified and it’s not included in your credit score. With the UltraFICO, consumers can allow access to their checking, savings, or money market account information to possibly boost their credit scores. 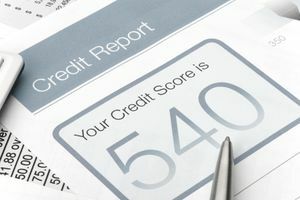 This can be helpful for consumers with credit scores in the 500s and 600s, who are close to a lender’s credit score cutoff and just need a few more points to qualify. UltraFICO will use several pieces of information about your account to develop your new score. Details include the amount of time your accounts have been open, how frequently you use your account, any history of recent overdrafts, and your account balance. Lenders can see how you’re managing your money in addition to how you’re managing your credit. The additional information could help you get approved where you would otherwise be denied based on your credit history alone. Ultimately, UltraFICO allows lenders to expand the number consumers they can loan money to. It allows lenders to tap into the more than 130 million consumers who are effectively shut out of the credit system because they don’t meet the qualifications. Not all consumers will have UltraFICO; if your credit score is high enough to have an application approved, you won’t need the extra boost from your banking information. The lender may offer the UltraFICO score to you if your application is turned down based on your traditional credit score. At that point, you’ll have the option to have your bank information accessed to generate an UltraFICO score for you. Experian will be the first bureau to partner with FICO for the new credit score system. For UltraFICO to benefit you, the lender must be willing to base their credit decision on your Experian credit score alone. Keep in mind that agreeing to an UltraFICO means allowing these companies to electronically access your bank information. Make sure you understand how your data will be protected before going forward. Here's what we know about the traditional FICO score: 35% is based on credit history, 30% on your level of debt, 15% on your credit age, 10% on the types of credit you have, and 10% on the number of recent credit inquiries. Many of the specific details about the UltraFICO score haven’t been announced yet. For example, we don’t know how the percentage of each credit score factor changes with the addition of bank information. We also don't know if the credit score will be available for consumers to view. If you're turned down or approved for less favorable terms based on your UltraFICO, the lender is required to disclose the score to you along with the factors that contribute to your score. You still have a responsibility to make sure you only take on debt you can afford to repay. Consider your current income and expenses before taking on any debt obligations.